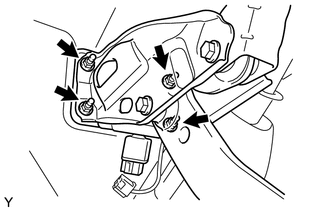 (a) Install the brake pedal pad onto the brake pedal. 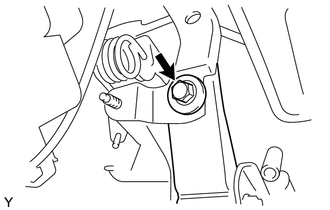 (a) Install the brake pedal support assembly with 4 nuts. (b) Connect the stop light switch connector to the stop light switch. (c) Install the bolt onto the reinforcement. (a) Apply lithium soap base glycol grease to the inner surface of the hole on the brake pedal lever. (b) Install the push rod clevis onto the brake pedal lever with the push rod pin and a new clip.